Granitic slopes behind Mauves provide the fruit for this excellent St Joseph;, a gift, or similar, from Emmanuel’s father-in-law, Bernard Faurie. The Faurie genius is evidenced in a wine of tense, stony acidity and impressive, peppery power, with crushed— rock tannins and crunchy fruit providing impressive structural support. An unwelcome hailstorm, allied to the usual refrains about the late season and apparently delayed harvest, ensured that 2013 was not the easiest of years for Emmanuel. This, of course, has not dulled the spirit of a man who seems to maintain his youthful enthusiasm for all things vinous. His naturally inquisitive mind has now been refined by experience and his use of oak is less ambitious—no bad thing in an appellation where the primacy and purity of the fruit itself should always be key. 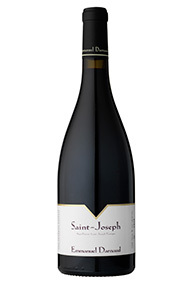 The Wine Advocate - The 2013 St Joseph is a head turner that comes all from the granite soils of the La Dardouille lieu-dit, which is located to the south of the Les Oliviers and Saint Joseph lieux-dits, just west of Mauves. Completely destemmed and aged 18 months in demi-muids and smaller barrels (all once used), it offers gorgeous notes of plums, black raspberries, pepper, olive tapenade and distinct minerality. Medium to full-bodied, ripe, layered and elegant, with sweet tannin and good concentration, its already drinking nicely; it will have 10-15 years of overall longevity. Emmanuel Darnaud is one of the most likeable and enthusiastic vignerons in the northern Rhône. He is also fortunate enough to have Bernard Faurie, the legendary Hermitage producer, as a father-in-law. Based in Pont De L’Isère, in the south of the appellation, he has now accumulated 15 hectares, on what he identifies as six differing terroirs. The 6 parcels are vinified separately and allowed three different ageing regimes, in oak of three different sizes (hence the name of his top wine Les Trois Chenes). His powerful Crozes Hermitage are rich, relatively tannic and with good levels of balancing acidity, beguiling notes of tapenade and sweet blackberry. They are matured in 50% new oak casks. Since his first vintage in 2001, Darnaud has developed a style of brightly fruited Crozes wine with a seductive bouquet and almost ethereal scent that combines olives, violets and blackberries. Crôzes-Hermitage is the largest AC in the Northern Rhône, producing 10 times the volume of Hermitage and over half of the Northern Rhône’s total production. The appellation was created in 1937 with the single commune of Crozes, which is situated northeast of the hill of Hermitage. Wines are now produced from 11 different communes. Its vineyards surround the hill of Hermitage on equally hilly terrain where richer soils produce wines that are softer and fruitier, with a more forward style. The Syrah variety is used, but legally Marsanne and Roussanne can be added to the blend (up to 15 percent). In the north, the commune of Gervans is similar to Les Bessards in Hermitage, with granite soil producing tannic reds that need time to evolve. While in Larnage, in the south, the heavy clay soils give the wine breadth and depth (albeit they can sometimes be flabby), the soils to the east of river on higher ground comprise stony, sandy and clay limestone, making them ideal for the production of white wines. The best reds are produced on the plateaus of Les Chassis and Les Sept Chenin, which straddles the infamous N7 road to the south of Tain. Here the land is covered with cailloux roulés, which resemble the small pudding stones fond in Châteauneuf. 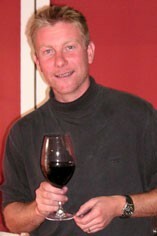 The wines can vary hugely in quality and style, and the majority of the reds tend to be fairly light. Many of the wines are made by a variation of the macération carbonique technique, bottled no later than one year after the vinification. 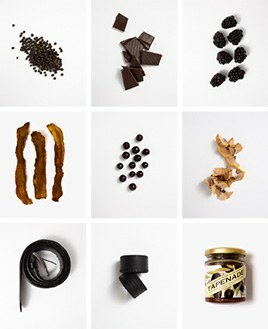 The best producers, however, use traditional fermentation techniques. There are small amounts of white wine made from Marsanne and Roussanne, accounting for approximately 10 percent of the appellation. The finest whites are produced from around Mercurol.